Socialisation is the familiarisation with living creatures and habituation is the process of getting used to environmental things and situations. 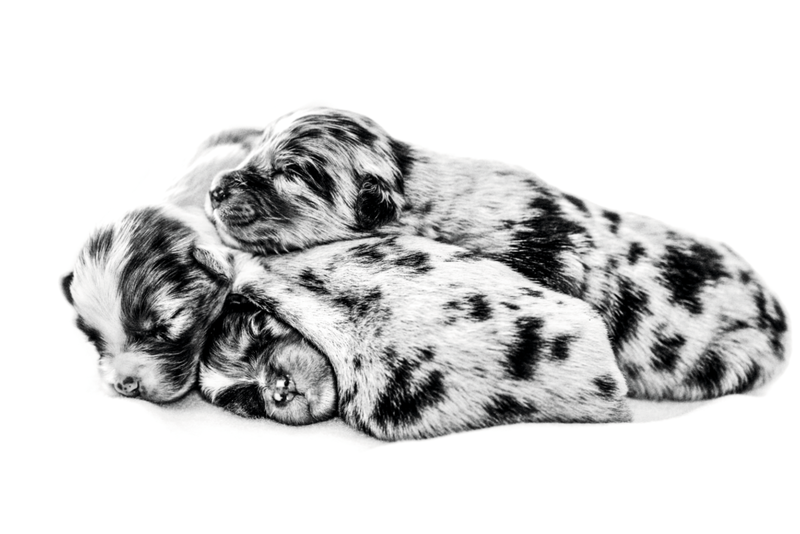 Puppies will start socialising from around 15 days of age but by 4-5 weeks of age their socialisation and habituation will be at its height, especially for multiple-puppy litters. Now that all their senses have fully developed, the puppies will be able to familiarise themselves with other species and with the environment in which they live. Interaction with their mother is still essential during this period; through play, she will start to guide them in how to behave appropriately. This is an ideal time to make the puppies’ world “interesting”, by creating various stimulating situations. These situations could include introducing strangers of the human kind, television, music, early-learning games, people picking them up in their arms, unusual sounds, vacuum cleaners and other animals. Any exposure to various experiences should of course be calm, controlled and positive. Puppies might be startled at this age but are not as likely to retain a permanent fear if experienced while young. However do ensure that nothing terrifying happens as this is unnecessarily unkind and may make them reluctant to encounter other new things. Children are wonderfully imaginative and tender, but can also be heavy-handed and, especially at this stage, it is important for you to understand that the fragility of any young animal is not just physical. If socialisation is poorly accomplished, this could create fear and inappropriate behavioural responses later in life, which may then be much more difficult to remedy. Therefore, children should always be supervised when interacting with puppies’. In contrast to their earlier readiness to explore, around week 6-8 puppies may begin to withdraw, appearing more reserved when faced with new and unfamiliar experiences. Puppies should continue to be offered as many stimulating socialisation opportunities as possible, yet everything new must now be introduced with greater care. Towards the end of the second month of their life, your puppy is also ready to start learning the basics of toilet training. However they’ll still be too small to “hold it” for long, so they will need hourly toilet breaks. Want more? Sign up to our newsletter. We'd like to continue to keep you up to date with all the exciting promotions, pet care advice and new product developments which we think would interest you. If you'd like to be kept informed in this way, please provide your email address and select what information you would like below.